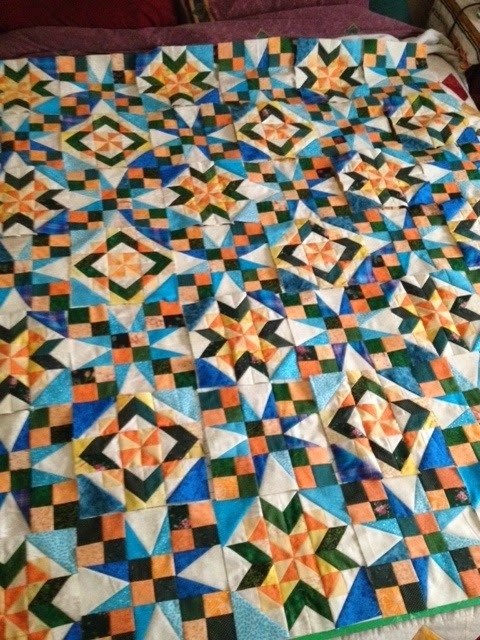 Last night I finished the last of the Celtic Solstice blocks - and used up all my fabric - had to piece together blue scraps to get the last 5 triangles - have about 12" (square) of orange left, and had to get more greens and creamy background - The pieces for the border are done, too, so just have to get them into one piece and decide on the plain borders - since I don't have anywhere near enough of the background fabrics I used. Just lovely. You are an artist!